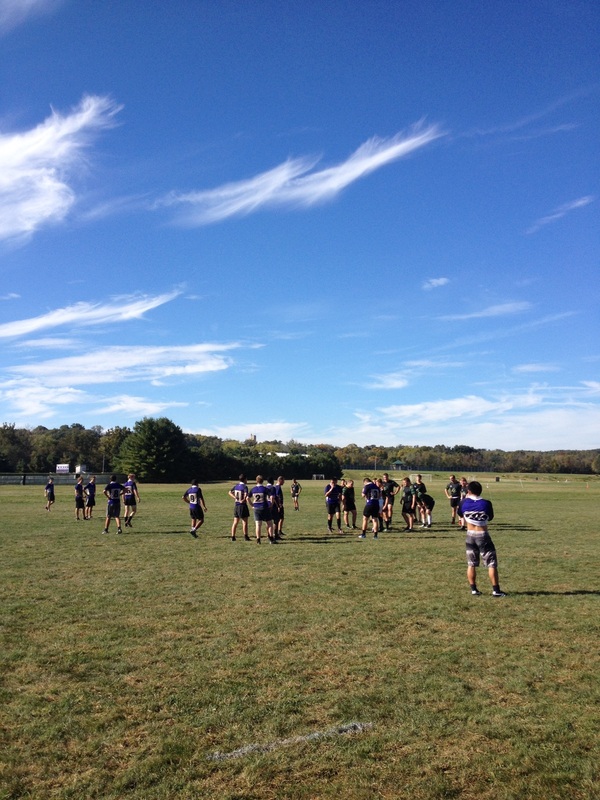 Kenyon’s Rugby pitch – home to all the ruggers and a whole lot of worms. In this post, we’ll be discussing gross stuff like worms and squishing worms and realizing that you just put your hand on a worm that you probably killed and like maybe it had a future or kids or some kind of kin and a job that it really liked and so you’re 50% really existentially sad and 50% really grossed out so if either of those things don’t appeal to you, maybe it’d be best to skip out on this one. 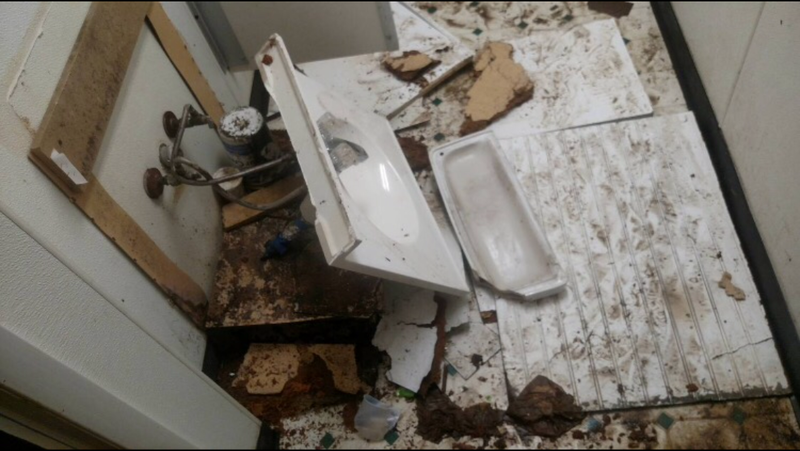 If you left your room at all last week, you would have seen that it rained. A lot. And if you spent any amount of time examining the soggy earth during one of these rainstorms, or shortly after maybe you saw a worm or two wriggling its way out of the ground in an attempt not to drown. As cute and confusing as this thought is (are worms semi-aquatic? Why haven’t they evolved gills?) it’s really really gross when you realized you’ve stepped on one. Thrill editor and Sendoff Queen Sarah Morgan Cohen-Smith ’14 cheerily models her RIP Sendoff tee. Despite all the concerns about the new, not-so-improved Sendoff situation, students seem to be making the best of it. 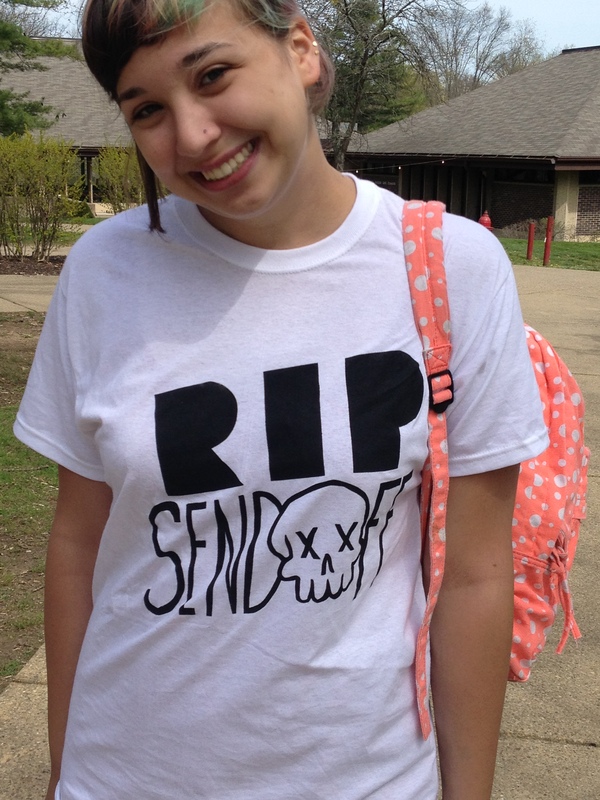 All around campus, merry revelers are sporting these sassy “RIP SENDOFF” skull tees designed by Everett Brodbeck ’12. Take that, establishment.